A teenage girl attempts to disrupt her mother's romance with a new neighbour. In the U.S., mass shootings certainly aren't a new phenomenon, but they've grown increasingly common in the 21st century. Some have theorised it's a side effect of America's never-ending wars in the Middle East, much like how the country's violent crime rate dramatically spiked during the Vietnam War. If a country attempts to solve its problems through violence, with little regard for whomever gets caught in the cross fire, why should its citizenry behave any differently? With her latest film, Sadie, writer/director Megan Griffiths (Eden; Lucky Them) appears to support this thesis. 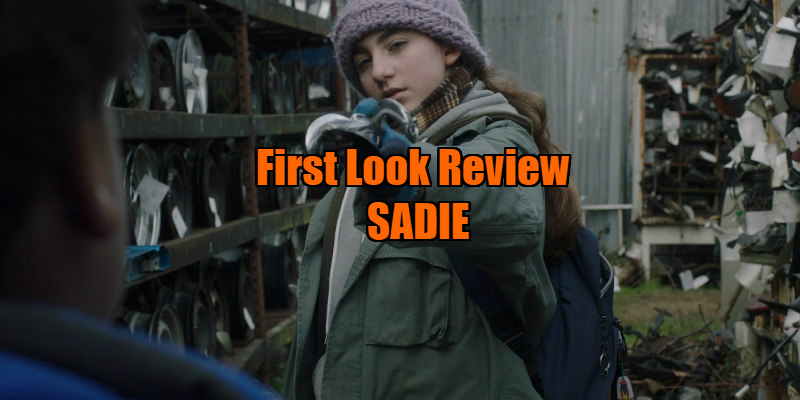 The Sadie of the title is a precocious 13-year-old (Sophia Mitri Schloss) who lives in a Washington State trailer park with her mother, Rae (Melanie Lynskey), a nurse at a local hospital. Sadie's father has been off the scene for the past three years, preferring to serve abroad in the military than return to his family, but the young girl remains devoted to him, constantly penning letters in the hopes that he will come back to her. Deciding she can no longer remain loyal to a husband who clearly no longer cares for her, Rae becomes romantically involved with Cyrus (John Gallagher. Jr), a painkiller-addicted mechanic who moves into the trailer next door. Sadie doesn't take kindly to this new arrangement at all, her initial passive-aggressiveness gradually giving way to more sinister means of removing her father's new love rival from the equation. Over the last decade and a half - since the U.S. began invading various foreign territories for reasons those in power don't even seem to remember themselves at this point - we've seen several dramas explore the effects of Post Traumatic Stress Disorder on returning soldiers (American Sniper; Thank You for Your Service; Brothers), but Griffiths' film offers a unique look at a secondary victim of war, a child left behind as a parent serves their country. 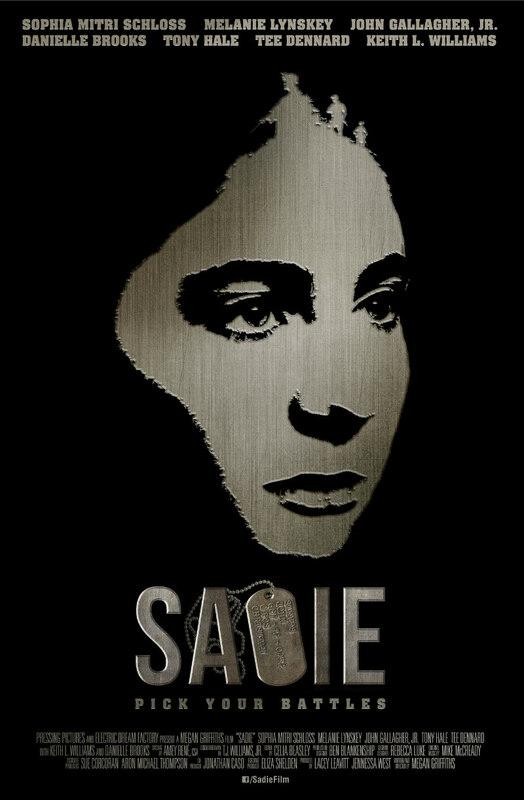 The young Sadie appears to be suffering a form of PTSD herself, closed off from all but her one friend, a bullied young neighbour (Keith L. Williams), and immersing herself in violent fantasies fuelled by video games, movies and her imaginings of just what it is her father does overseas. Newcomer Schloss is a revelation in the title role. We immediately warm to her, sympathising with her longing for her family to be reunited, and even when her desire to protect her father's honour leads her down a dark path it's impossible to view her solely as a villain. How far you support Sadie's actions will largely depend on which side of the political spectrum you fall. Cyrus isn't a monster by any means, but he's not the sort of guy you would want your mother hooking up with either, so how far should Sadie go to neutralise his threat, as the military might phrase it? Some might say he deserves everything he gets, others will view him as a victim of circumstances himself. Griffiths doesn't impose any moral judgements on her audience, allowing for some interesting post-screening debate. Sadie isn't all darkness and foreboding however. For most of its running time it's a breezy example of the American indie character drama at its finest, offering us complex protagonists that we can't help but warm to, no matter what immoral acts we witness them perpetrate. 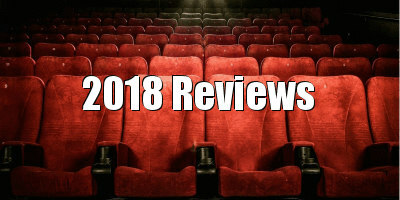 Lynskey continues to prove herself one of the most under-rated actresses working today, while the supporting cast is rounded out by equally impressive performances that help flesh out the film's trailer park world, with Orange is the New Black star Danielle Brooks particularly noteworthy as the owner of a local bar. 90 minutes of being charmed by this ensemble makes the film's climax and ambiguous resolution all the more tragic. Sadie is in NY/LA cinemas October 12th. A UK/ROI release has yet to be announced.